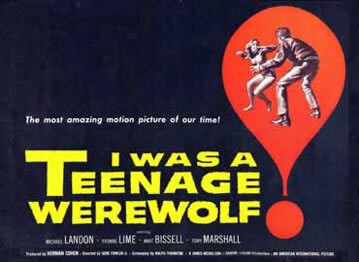 In 1957 Michael Landon starred in the surprisingly effective monster film, "I Was A Teenage Werewolf. " Landon would later drive a 1988 Avanti. He was better known as Joseph "Little Joe" Cartwright in Bonanza, a TV western that takes place in 1860s Nevada territory. 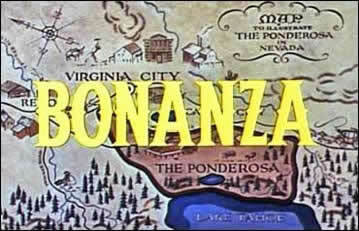 From 1964 to 1967, Bonanza was the single most watched television program in America. Bonanza's first season was sponsored by Studebaker. The series struggled in the ratings during its first 2 seasons, and was kept on the air mainly because it was filmed in color. Color TV was new at that time, and NBC wanted a show that would encourage viewers to purchase the new television sets of its parent company, RCA. 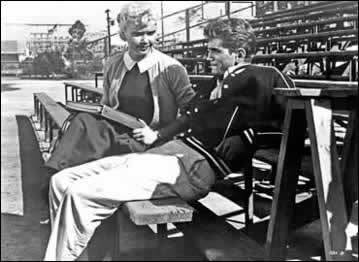 Michael Landon starred in the 1957 monster movie "I Was A Teenage Werewolf." Landon with co-star Yvonne Lime in "I Was A Teenage Werewolf. 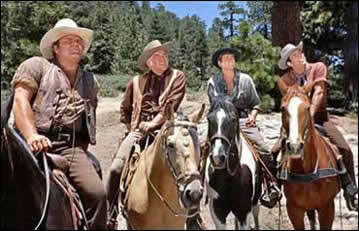 The Cartwright clan in an episode of Bonanza. Map of the Ponderosa Ranch in Nevada.